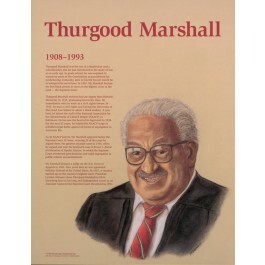 This educational poster of Thurgood Marshall, the first African American justice on the Supreme Court, features a striking artist's illustration of him, as well as biographical text detailing his life and accomplishments. 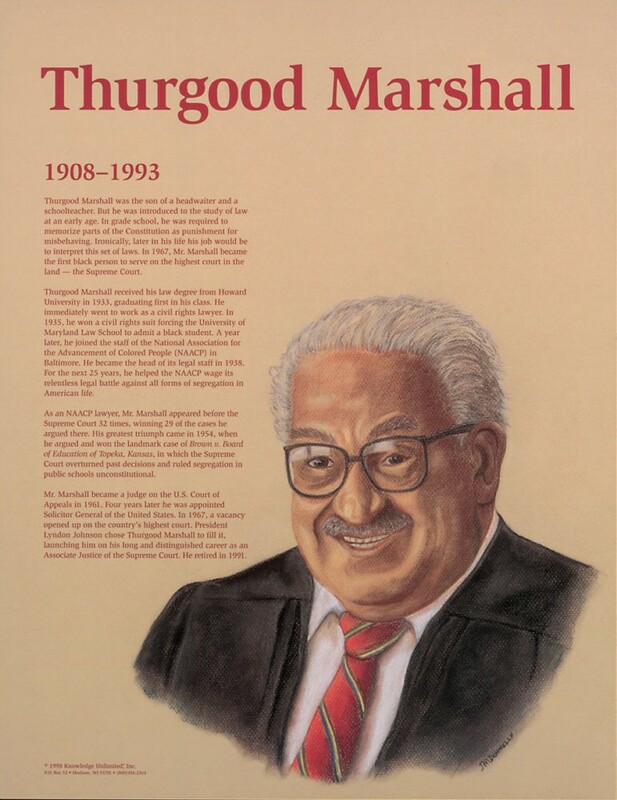 Before joining the Supreme Court, Thurgood Marshall was a civil rights lawyer. For 25 years, he worked for the NAACP, waging a relentless legal battle against all forms of segregation in America. His greatest triumph came in 1954, when he argued and won the landmark cas eof Brown v. Board of Education of Topeka, Kansas, in which the Supreme Court ruled segregation in public schools unconstitutional. He became a Supreme Court justice in 1967.